In diesem neuen „Tagebuch“ werde ich künftig über meine Waldbahnaktivitäten in den unterschiedlichen Spurweiten berichten. 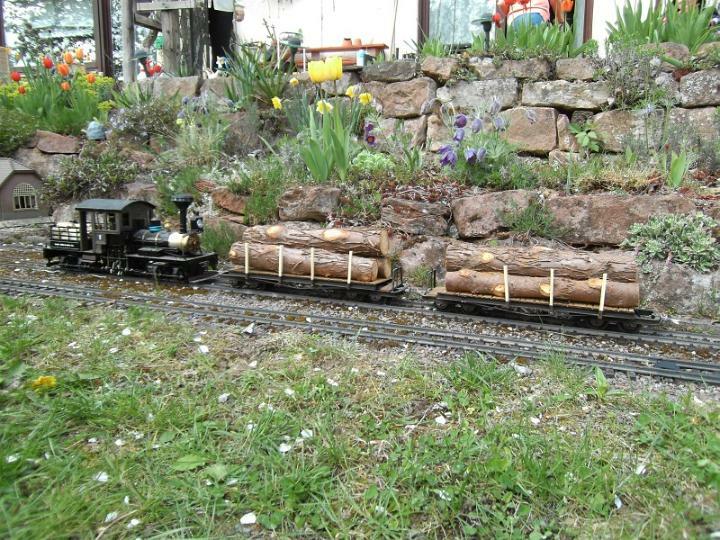 Von Echtdampf-Waldbahn in 1:6 und Fn3 bis hin zur Kleinstanlage in HOe möchte ich euch hier auf dem laufenden halten. Im obigen Menü könnt ihr die jeweiligen Baugrößen auswählen zu denen ihr dann die entsprechenden Beiträge bzw. Seiten angezeigt bekommt. Oder ihr geht einfach durch das Archiv und lest die Beiträge in chronologischer Reihenfolge. In der Regel erstelle ich jeden Dienstag einen neuen Beitrag mit aktuellen Projekten und deren Fortschritt. Wie auch immer – ich wünsche euch viel Spaß auf meinen Seiten und würde mich über Kommentare, Anregungen und Kritiken freuen. I like your hon30 live steam locomotive and I was wondering if you know where to buy one of those locomotives. Einfach genial. Warum habe ich das nicht schon früher gesehen bevor ich mit meiner H0-Bahn angefangen habe zu bauen. Na vielleicht wird sie ja in diesem Leben noch ferig, dann kann ich mich Deiner Modulbauweise wittmen. I LOVE your blog and all that you are doing in HOn30. 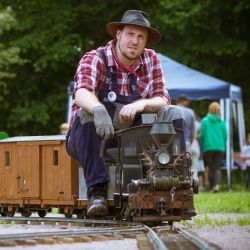 I am attempting to gather some HOn30 stuff to build a small logging railroad a little on your video of your layout and several forestry railways I have looked up. I have a question in regards to the AHM/minitrains cars. Do you know if the top part of say the bulkhead cars or v tip cars come off? All of the little 4 wheel cars appear to have the same base chassis as the log cars minus the bunks. The reason for my question is that I am having a hard time finding the log cars or they are over priced but I can get the other cars pretty cheap. I thought I could remove the bulkhead part and add a scratchbuilt bunks on them. many thanks and welcome to my blog. Well, these cars are using more or less the same chassis, but the separate added center beam can differ. Some cars have just a straight center beam like the V-tippers and some of the new flatcars made by MinitrainS. Most Roco/Atlas made cars have the centerbeam with cross member, which is also used by the log cars, but some don’t have the hole to take a log bunk. Oh, and the bunks on the V-tippers are molded directly to the frame, but will come off easy with a X-acto knife. 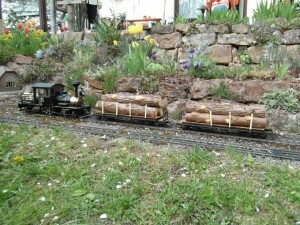 I guess the best way to get such log cars is the new range made by MinitrainS if you’ve a dealer in your area. They came with nice platforms and are cheaper then the older models. I LOVE you blog and all that you are doing in HOn30. I an attempting to gather some HOn30 stuff to build a small logging railroad a little on your video of your layout and several forestry rsilways I have looked up.